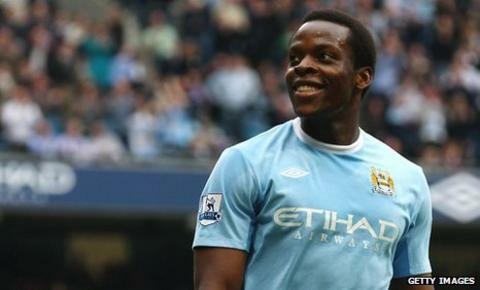 Queens Park Rangers have completed the signing of Nedum Onuoha from Manchester City on a four-and-half-year contract. The defender, who played under Mark Hughes when the Welshman was manager of City, moves to Loftus Road for an undisclosed fee. The 25-year-old spent last season on loan at Sunderland but has found opportunities limited at City. "Nedum is a player I know well," Hughes told QPR's official website. "He is a very good addition to the squad." "He did very well for me at Man City and played a number of games, probably more than under any other manager," Hughes added. "He is very versatile. He can play centre-back or right-back and has good pace," added the QPR boss, who may hand Onuoha his debut against Chelsea in the FA Cup on Saturday. Onuoha, who has played for England Under-21s, is Hughes's first signing. The Nigerian-born player made his first-team debut in October 2004 in the Carling Cup defeat by Arsenal, with his Premier League debut coming in November the same year. Onuoha joined Sunderland on a season-long loan last season, making 31 Premier League appearances and scoring once, in the 3-0 win over Chelsea at Stamford Bridge. Hughes is still looking to reinforce his squad as he looks to avoid the club making an immediate return to the Championship. Chelsea's Brazilian defender Alex, 29, has been linked with a move to Rangers after handing in a transfer request at Stamford Bridge. QPR have also had two bids rejected for Blackburn defender Christopher Samba, who has also handed in a transfer request.